Tony Danza - Host: [to a contestant] You won a new refrigerator, great! Where you gonna put it? This show didn't quite make it because of a few reasons. 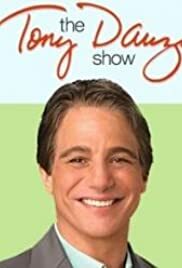 Tony Danza is an Italian from Brooklyn, which is cool. Very colorful upbringing and heritage. But he keeps referencing to the fact that he's Italian. Paisan this, Paisan that. Enough, man. The guy thinks he's a walking plate of spaghetti or something. Also, he talks too quickly and often when he's interviewing guests. He sticks to his notes instead of building on what the guest just said... should be digging for more depth. He's also too hyped up. He needs to relax.